Winning the Scripps National Spelling Bee when she was 14 didn’t just mean prizes and glory for Paige Kimble. The Bee became her career: Kimble is now executive director of the popular competition and spectator sport (the finals are broadcast live on ESPN during the last week of May). Kimble gave us the word from the downtown Bee HQ. 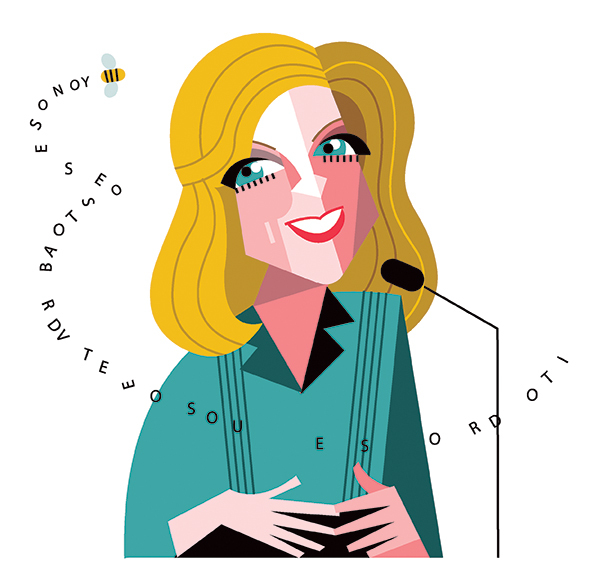 Why is a spelling bee important in the age of spell-check? The National Spelling Bee has been around since the 1920s, and spell-check has been around since the early 1980s. So spell-check is actually a mature, entrenched technology. It’s more than 30 years old now, and during that span we’ve seen interest in local spelling bees increase by 74 percent. Why does spelling matter? Knowing words, knowing what they mean, knowing how to use them, is important for success. People who spell well tend to have a great vocabulary and tend to have demonstrated a commitment to detail and to doing things right. What kind of kid makes it to the finals in Washington, D.C.? The common denominator is a love of reading—these children began to read before they ever entered school. Beyond that they are individuals. We see shy kids, athletic kids, kids who are very outgoing. It runs the spectrum. Can we talk strategy? Spelling is a mental game. You have to come up with a good mental routine to collect your thoughts in front of a large live audience and a large TV audience. Many spellers will stop, take a deep breath; they will ask a particular series of questions—that’s all part of their mental routine. Favorite words? When I was a speller I always wanted to be asked how to spell the word ouananiche. I never got that opportunity. Ouananiche: It is a king salmon. Every speller has a collection of words like that—showoff words that they just love the opportunity to spell on stage. Every once in a while they get their wish. Courtesy of this interview I finally get to spell it. Thank you. Least favorite words? I can’t think of any. Are you personally involved in choosing words for the Bee? Word selection—that’s not something that we discuss. How we come up with our words is our secret sauce.